1. Are you in a mood for seafood? Try Red Hook Lobster Pound Truck!! This amazing food truck brings sensational seafood straight from the Maine coast to the five boroughs. 2. Love Waffles? Wafels & Dinges is a mobile “indulgence”. It offers “real-deal” Belgian waffles fresh-pressed with love. 3. If you love Asian food you must try Rickshaw Dumpling, this food truck takes dumplings to another level. 6. 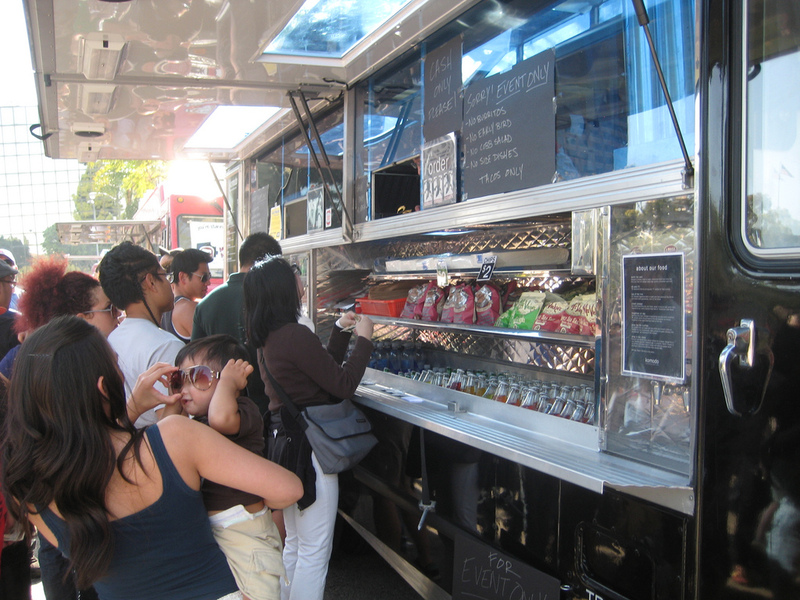 The GO Burger Truck takes the gourmet burger experience on the road. 7. Turning “traditional soft-serve” ice cream into a “culinary treat”, Big Gay Ice Cream Truck is a big. I am sure you don’t want to be left out, when everyone is talking about it. Go ahead! Indulge yourself! 8. The Cinnamon Snail, vegan and organic food to inspire peace and bliss! 9. Yvonne’s Jamaican Food Truck has the best jerk chicken in town! 10. Korilla BBQ, presents classic Korean recipes in contemporary forms. We’re talking tacos, chosun bowls, and burritos like you’ve never had before. Summer is here and those workouts at the gym are becoming a little boring. The best way to get that summer body this year is staying fit without even realizing you’re exercising! New York City has the greatest places to exercise while exploring the arts and cultures and still being able to have fun! 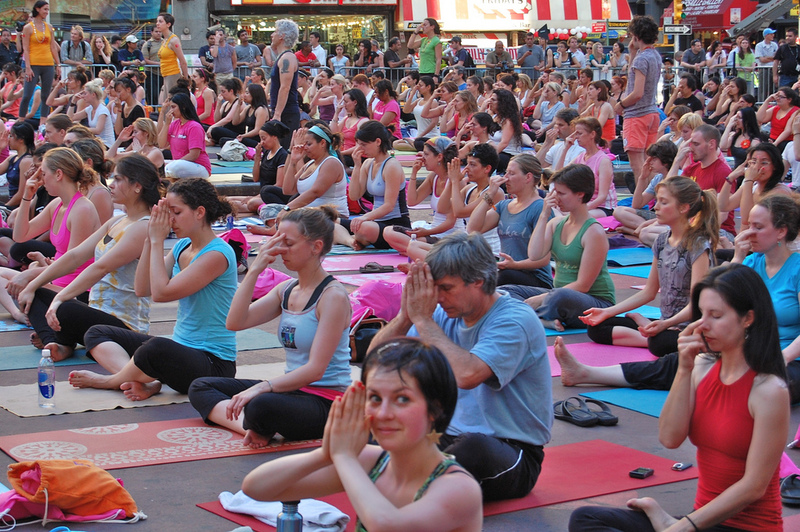 Feel good about yourself and choose from our not-so typical ways to exercise in New York City. Whether you’re a coach potato or an athlete, yoga is for everyone! For a more peaceful setting check out Sonic Yoga near Midtown West or New York Yoga on Upper East Side. After work get some mental clarity and relax your mind. Did you know that belly dancing can allow you burn up to 300 calories per hour? Take some belly dancing classes for some toned muscles, improved posture, and even stress reduction! You can either go to Groove Fit on 116st street in Harlem or RISE Dance Company on Murray Hill. Take some Zumba classes at Z Club NY in Midtown East or try Manhattan Motion Dance Studio in Upper West Side. If you like Latin-inspired dancing this is a great workout for you and might even push you to move faster than you ever moved before! Dance to live drums and release some stress while taking some African dance classes. It’s great for weight loss for both women and men. Take some classes at Dance New Amsterdam in Tribeca or Cumbe: Center for African and Diaspora Dance in Brooklyn. Believe it or not marital arts classes are another good choice to build strength and flexibility. Get some endurance at Bryant Park and do Tai Chi for free. Oh and let’s not forget martial arts is great for gaining more confidence! What are some other ways you prefer exercising while having fun? If you’re a coffee lover like me, especially iced coffee, then you should know that New York runs on coffee! Whether you prefer frosty cappuccinos, mochas, or iced lattes, New York has some of the best places to enjoy your ice coffee with style in the heat. We all have our addictions, coffee just happen to be yours! Take a look at some of the coolest spots for iced coffee in New York City that best fits you. You will love Cafe Sabarsky on a hot summer day while you enjoy their coffee that almost taste like desserts made of hazelnuts, raspberries, ice cream, and more. Go to 1048 5th Ave and feel like you’re in a classic coffee house like the ones in a movie! After a long day, you can relax at B Cup Café where you can enjoy your iced coffee on the sofa or lounge with your laptop or on the outdoor benches with your friends. Take a train to East Village and while you’re there try their frosty vanilla and white chocolate café mocha! Try something new and check out a Greenwich Village classic, Caffe Reggio. 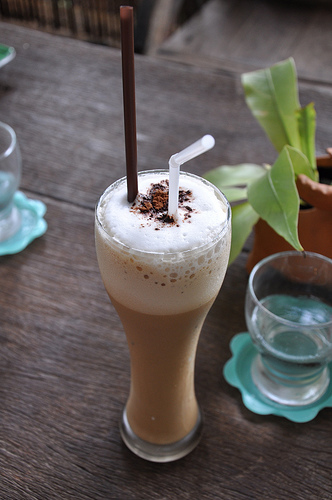 Their iced coffee is made with roasted Arabica beans that you might fall in love with! Whether it’s daytime or at night, French Roast will be open so you can be able to enjoy a simple iced cappuccino this summer on 78 W 11th St. Believe it or not despite contrary belief, I love getting my French vanilla ice coffee from McDonald’s! While Dunkin Donuts and Starbucks are too busy competing, don’t underestimate a $2 iced coffee from McDonald’s. The best part is, there’s one on almost every other block of New York! The 4th of July is one of the best times of the year to create fun memories with your family and friends. But the question is where are these memories going to take place? Have you figured out where you want to watch the fireworks at this year? No need to worry, we came up with some of the best places to watch the fireworks in New York City for you. 5. Pier 84 If you want a good view, it has limited access starting at 44th street. 4. Side Streets Don’t underestimate the side streets! You can also view the lights in the sky between 11th and 12th avenues. Remember its New York City, so expect big crowds and get there early for the best spot. 3. River Side Park South The park closes at 4pm for new visitors so we suggest to come early and bring your iPod and food. 2. 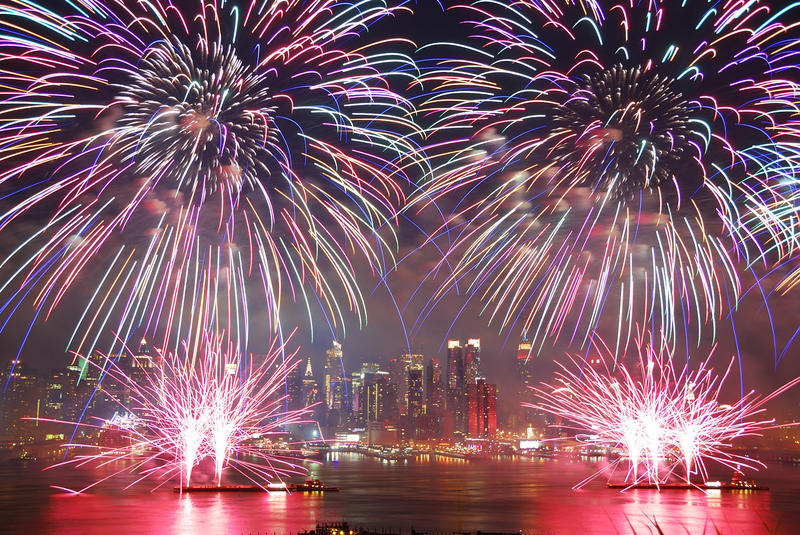 West Side Highway Pick an entrance on 12th Avenue between 14th and 59th Streets and enjoy the amazing fireworks. It’s almost impossible to avoid the crowds but you can try finding a good spot. The show usually begins at 9:20pm. Now what better place to enjoy 4th of July than partying with us? Who wants to battle with the crowds on Independence Day? This year have your own private celebration and get your ticket for City Sightseeing NY’s special July 4th Fireworks Cruise before it’s too late. The fireworks are just part of the journey you can dance the night away with some delicious food while watching the skyline of New York with your family or friends. Do you have other plans in mind for Independence Day? Tell us. There’s nothing better than being able to go out to eat with family, listen to live music with friends, watch a free outdoor film with a date, and shop as much as you like! What greater place to do all of that in one day than at South Street Seaport? Did you go on your summer shopping spree yet? South Street Seaport has some top designer stores or if you are the kind of person who likes unique pieces, you will love the seasonal vendors. Also, the seaport’s See Change program will run through the summer as an effort to recover from the Hurricane Sandy and it includes Smorgasbar, Front Row Cinema and other cultural events. 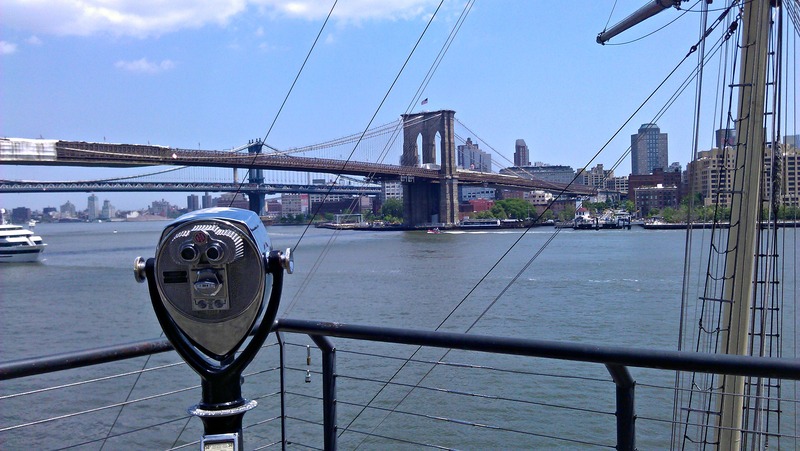 So, what do you find most interesting when you go to South Street Seaport? It’s too nice outside to be stuck at your gym or at home exercising! Sometimes jogging can become tedious, but jogging in New York City might make you forget that you’re even sweating. Make fitness fun by exploring the city and still being able to get the summer body you want to achieve. 7. High Line Park – Go early or don’t go at all. 4. East River Bridges – Great views, nice inclines, but be prepared to slow for the walkers. It can be a tight squeeze on the bridges at some points. 3. 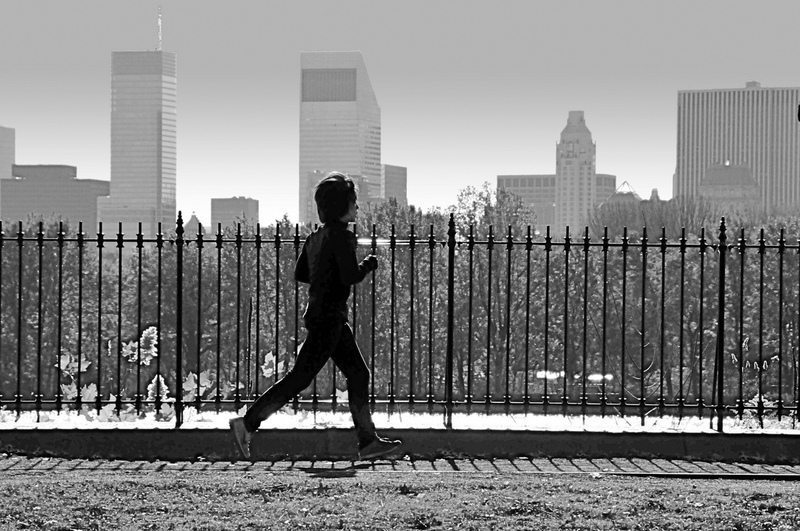 Prospect Park – Our favorite Brooklyn running getaway. 2. Hudson River Greenway – Run the length of the Hudson, right on the water. It’s beautiful. 1. Central Park Reservoir – Nothing beats running the Jacqueline Kennedy Onassis Reservoir. The views are beautiful, there’s room to pass slower runners, the track isn’t too hard and it isn’t too soft- It’s as good a place as you’ll find in NYC to go for a jog. One tip: Ever heard of the early bird gets the worm? Well, let’s just say you might want to be a jogging bird. Remember its New York! If you want to take a walk or jog in NYC it’s very hard to avoid people and cyclists in your way, so head out early before everyone wakes up! Change up your scenery and jog on.